I normally write a minimum of two hours a day, up to 16 hours if I'm in a creative frenzy because the words won't stop flying through my fingers. No one tells me what to do or how much. Just me. Any artist must be a self-starter. Self-motivated to not only create but to share and market what we create. 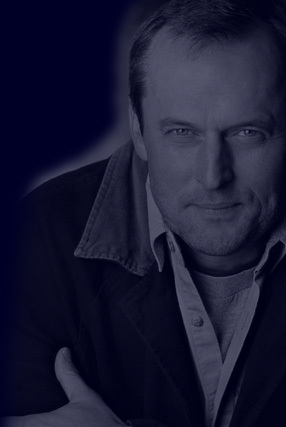 Best-selling author John Grisham used to write in the early morning before he went to work as a prosecuting attorney. I doubt if he thought he would become the uber-popular writer he has become, but for sure he was driven to write, to finish his book, to find someone to sell it and get it published. No one pushed him to do this, it was either inherent in his personality or he trained himself to create a successful habit. Some have said that in fact, success is a habit. Self-starting is not always a natural trait, but it surely is the only way we can succeed in almost any field, most particularly any of the arts. Writing, directing, acting, painting, dancing, you name it. Good journalists must also be particularly driven to research, dig up the truth, take chances to find information that people intentionally attempt to obfuscate or hide. While tabloid reporters and photographers in the US may risk catching a chill waiting around to catch a pathetic glimpse of Paris Hilton or Lindsay Lohan, more than 100 real journalists were killed last year world-wide trying to get the truth out to us about wars, corruption, criminals and the exploitation of innocent citizens. An actor told me that he "missed acting" when he wasn't in a class. Um, when I want to act, I dig up a script, develop a character, subtext, movement, and make it happen. If I want to do scene work? I call someone and we get together. There's really no reason we can't do our art any time of the day or night, alone or with someone else. Some of my actors work with one another on the phone. That can be anything from an improvised conversation as specific characters to rehearsing a scripted scene to just chatting about subtext or other elements of character development. I've met so many people who consider themselves artists, particularly actors, who sit around waiting for their agent to call, reading call boards or relying on others to make their careers happen for them. I can only suggest reading my recent blog "MAKE IT HAPPEN!" (June 1, 2007) if you need any role models. One thing I can say that makes the difference: the people, in my experience, who succeed are people who show up. There are people who, through thick and thin, show up here, plugging away. Slow and steady can create a more substantial, enduring career than fast and erratic. Probably because any work that involves humans must develop organically. That takes time and patience, steady learning and practice - and all people have peaks and valleys in the developmental process of any work that emanates from the soul. In the end we have to ask if your heart is really in the work you're pursuing. If it's not? It's not your passion. You're just not that into it. If you're not? Keep searching for your real passion. Believe me, when you find what you are intended to do, what makes you soar, what brings you happiness and excitement, self-starting won't even be an issue. You'll find yourself researching, doing all sorts of things on your own, finding the right coach, finding the type of a certain discipline you'd like to pursue (such as watercolors or acrylics if you're interested in painting). To find your passion requires self-starting to begin that search. Many people are unhappy they haven't found their passion - but they don't seem to understand that waiting around won't make that happen. If you have the intention of finding your passion and actually tell yourself AND write out, "I want to find and practice my passion," your quest is underway. Test the waters in the area that captures your fancy. Take a class. Talk with a trusted counselor. Most importantly, get started. Figure out what it takes to help you be a self-starter. Is it making a list? Scheduling tasks to make it happen? Chatting with a friend? Perhaps talking with a counselor to find why you are blocking yourself from enjoying your life to its fullest might be in order. The question to ask yourself in order to find your own path to action? "How can I find and pursue my true passion?" And if, in the end, you need someone to push you?